Thanks for the shapes, Peter! If you want to know more about Service Component Architecture, have a look at the Open Services Oriented Architecture web site, which has more information on their SCA Home Page, and the What is SCA? page. Previous Post: « Visio Film Strip Shapes: Hurray for Hollywood! Thanks for the kind words. The SCA diagram components are not intuitive. The stencil needed a good explanation and I felt that the clickable diagram on the Apache site was ideal. This is my first attempt at creating a Visio stencil so feedback and guidance is always welcome. 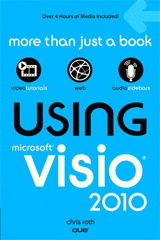 You wouldn’t happen to know where to find a “web services” stencil of shapes for visio, would you? I’ve been looking and it seems it is a hard-to-find item….